Author Bio for Burpee, Lawrence J.
Lawrence Johnston Burpee, civil servant, librarian, author (b at Halifax 5 Mar 1873; d at Oxford, Eng 13 Oct 1946). He entered the Canadian civil service in 1890 and served as private secretary to 3 ministers of justice. From 1905 to 1912 Burpee was librarian of the Ottawa Public Library, and from 1912 until his death was Canadian secretary to the INTERNATIONAL JOINT COMMISSION. 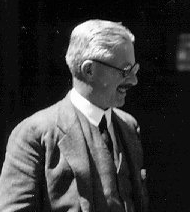 Burpee was a founder of the CANADIAN HISTORICAL ASSOCIATION and honorary secretary 1926-35 and president 1936-37 of the Royal Society of Canada. A prolific writer, he published many articles and works on Canadian studies.--Canadian Encyclopedia. Epub 20140220.epub If you cannot open a .mobi file on your mobile device, please use .epub with an appropriate eReader. Mobi/Kindle 20140220.mobi Not all Kindles or Kindle apps open all .mobi files.